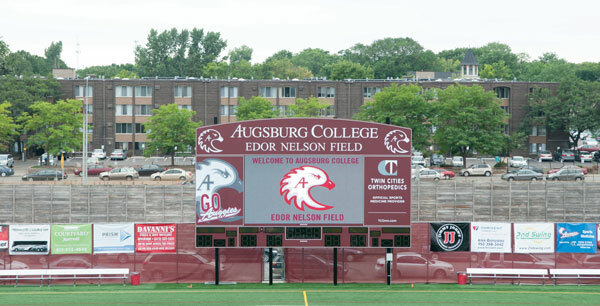 This summer, hundreds of Auggies of all ages gathered on Edor Nelson Field to celebrate the 100th birthday of legendary Augsburg College athlete, coach, and instructor Edor Nelson ’38, who led the Auggie football and baseball teams during a career that spanned four decades. His birthday festivities corresponded with the dedication of a new, state-of-the-art video scoreboard in his honor. Ten days later, Edor passed away. 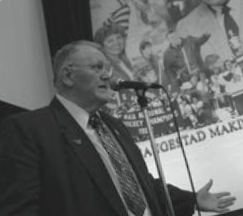 He was honored in a memorial service on September 5. Bruce Nelson ’71, current president of Augsburg’s A-Club service organization, said that his father’s support of athletes extended far beyond the playing field and graduation. This is why lead donors for the scoreboard project, Dan ’65 and Alice Anderson, Rick ’74 and Nancy Colvin, Rick ’72 and Tammie Ekstrand, Harvey ’52 and Joanne (Varner) ’52 Peterson, Mark ’53 and Jean Raabe, Alan Rice, and many others, chose to donate to the project to honor their coach and mentor. 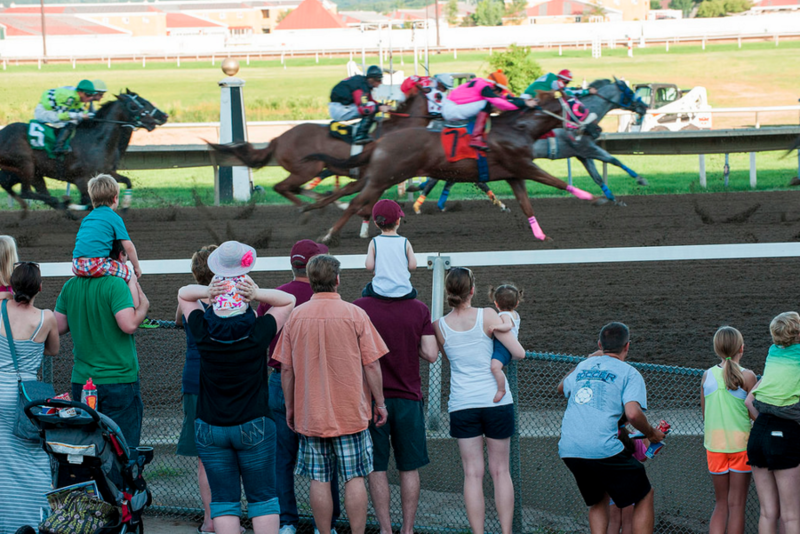 Fundraising efforts for the new scoreboard have not yet met a $300,000 goal. 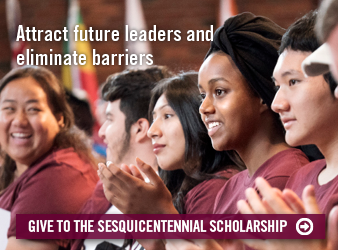 To make a gift honoring Edor, contact Keith Stout, assistant vice president of major gifts, at 612- 330-1616 or stoutk@augsburg.edu. Donors to the scoreboard will be listed on a special plaque to be installed later this academic year. In his 100 years, Edor represented true Auggie spirit as a soldier, educator, father, husband, and coach. Consider honoring his legacy with a philanthropic gift to athletics that will positively influence Auggies of tomorrow.